When most people think about the holidays, they think of family, friends, giving, good food, and lots of traditions. The holidays are also marked with alcohol and long drives to parties and gatherings. Unfortunately, these two instances combine more often than most people think and create a lot of tragedy during a season that is supposed to be the most wonderful time of the year. To help keep everyone safer on the roads this year, here is a special invitation to do your part. Don’t drink and drive. 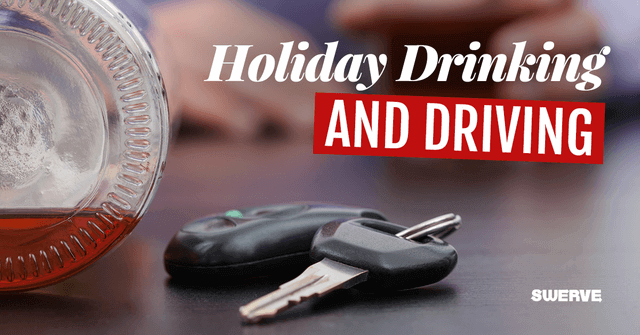 While it’s understandable that some people need to drink to survive family or work holiday functions, it’s never a good idea to drive when you are intoxicated. By speaking up to others and being mindful of your own actions, you are keeping yourself and those around you safe. Choosing to not drink and drive can save lives. Everyone who gets behind the wheel of a car. If you plan on drinking, the best thing to do is make some important decisions beforehand. If someone in your group is willing to skip the drinks, designate them to be the driver. If no one wants to miss out, arrange to have a friend or family member come pick you up, call you an Uber, taxi, or another driving service. Don’t take a risk driving with alcohol in your system and don’t let anyone else either. According to Mother’s Against Drunk Driving, between 10-20% of alcohol consumed is done by underage drinkers. Also, the highest percentage of impaired drivers were between the ages of 21-24. These two numbers help society know that parents need to be involved, educating their children on keeping them and those around them safe. Statistics also show that the later it gets in the day, the more traffic stops there are from impaired driving. When one of these holidays falls on a weekend, the numbers also increase. No matter how far you plan on driving, it is dangerous to operate a vehicle under the influence of alcohol. Make a pact with those you love that you will do your part to decrease the number of drunk drivers on the road. Impaired driving is a fast way to ruin the holidays. Not only can the driver become hurt or killed, they also hurt or kill other innocent people too. The consequences of these actions are not always at the forefront of someone’s mind when they take a drink. By giving everyone a reminder of the dangers of drunk driving, hopefully, people will take the initiative to plan before drinking to keep the roads safe. We want to make sure everyone has a safe holiday season and gets to celebrate with their family and friends.